His Excellency Mr. Mohamed Siad Doualeh is the Ambassador of Djibouti to the United States and the Permanent Representative of Djibouti to the United Nations. Before this, he served as Special Envoy to the IGAD-led Process for Somalia as a member of the IGAD Facilitation Committee. In that position, he was a key member of the Djibouti ministerial delegation to the special session of the Security Council on Sudan and Somalia held in Nairobi, Kenya. He also briefly served as Special Envoy to the IGAD-led Sudan Peace Process in 2001. 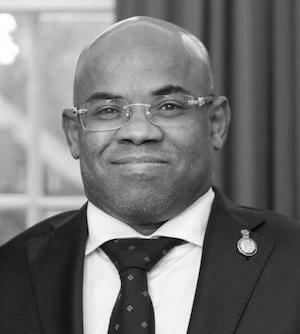 Ambassador Doualeh holds a Masters in British and American Literature and Civilization. He speaks English and French fluently.